Active Constituents: Volatile Oils (2-6%), containing up to 90% anethole, also camphen and pinene. There are also flavonoids, coumarins and sterols. Rubefacient (a substance for that is applied topically to produce redness of the skin – via dilation of the capillaries and an increase blood circulation. Sometimes used to relieve acute or chronic pain). 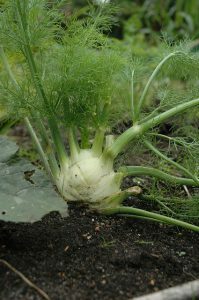 Contraindications: Fennel Oil should not be used with people who suffer from epilepsy. Seed preparations are harmless, however the oil is toxic in large doses and can cause poisoning. Symptoms include gastrointestinal irritation, vomiting and diarrhoea, seizures and pulmonary oedema, convulsions, hallucinations and respiratory disorders. Pure fennel oil (even in low therapeutic doses can cause hallucinations in the most sensitive individuals). To infants, the oil is highly toxic.